As reported on http://www.elegantthemes.com, the system was downloaded 46 million times in the last 12 months. According to Bop Design, a San Diego web design agency, these numbers support what most web developers already know – that while there are many good content management systems to choose from, WordPress clearly stands out from the crowd. WordPress is currently used by almost 19% of web sites. Joomla and Drupal lag way behind at 3.3% and 2% respectively. 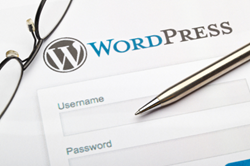 WordPress, the world’s most widely used blogging and web content management system, keeps getting more popular. As reported on http://www.elegantthemes.com, the system was downloaded 46 million times in the last 12 months. That comes out to 126,000 downloads a day, 5,250 an hour, and 89 per minute. And with an upgraded version planned for release by the end of 2013, these numbers will surely increase. According to Bop Design, a San Diego web design agency, these numbers support what most web developers already know – that while there are many good content management systems to choose from, WordPress clearly stands out from the crowd. What puts WordPress so far ahead of the pack? For starters, its offers a very user-friendly backend, especially for people with little or no technical training. In fact, WordPress was designed with the non-techie in mind. Just about anyone can set up a blog on WordPress. And employees with a minimum of computer skills can set up a basic company website simply by following the online tutorials. WordPress is committed to serving non-technical users, and it shows in the way they design their content management system for ease of use. For professional web developers who know what they’re doing, WordPress offers other important advantages. The system is easy to stall and maintain. Adding new content or reformatting existing pages can be done quickly and easily without any special coding. WordPress site builders don’t need to use HTML editing software – such as Adobe or Dreamweaver – that require more advanced development skills. And they can upload documents, video files, image galleries, and other graphical content without the need for additional HTML or FTP software. Thanks to its popularity, WordPress has a larger global user community than either Joomla or Drupal. As a result, users can turn to a wide variety of tutorials and help forums to develop their skills and customize their web sites. WordPress also has more plugins, extensions and themes, giving users greater choice in the look, feel and functionality of their WordPress sites. Plus, if a plugin breaks or a security issue arises, the global WordPress community works together to achieve a swift resolution. One of the biggest advantages of WordPress is that search engines love its clean and simple coding, which makes it easy for them to read and index the content. As a result, WordPress sites are more likely to attain higher search rankings than Joomla and Drupal sites, especially when people search on a company’s targeted keywords. To further optimize search engine results, WordPress makes it easy to give each page, post, and image its own meta tag keywords. Also, Drupal and Joomla developers typically charge more – an important consideration for startups and small businesses on a limited budget. But the real source of WordPress’ overwhelming popularity is one that doesn’t get talked about much because it’s not a technology issue; it’s a marketing/positioning issue. Joomla and Drupal were designed by technical people who sought to build good content management systems with lots of bells and whistles. In contrast, WordPress was designed by bloggers who were looking to solve a problem. Joomla and Drupal developers focused on the technical aspects of the product. WordPress developers focused on solving customer problems.